How much does EverSync cost? What’s the difference between EverSync and EverHelper? Why do I need to register for an EverHelper account? How do I create a backup on my computer? How do I synchronize bookmarks/speed dials with Everhelper? How do I download my speed dials/bookmarks on a different computer? I lost my speed dials/bookmarks. How do I restore them? Why is the number of speed dials in account stats different from the real number? What are the Menu, Toolbars and Unsorted folders for? Why is there a difference in number of bookmarks in Chrome and Firefox when synchronizing? I have a lot of duplicate bookmarks. How do I remove them? 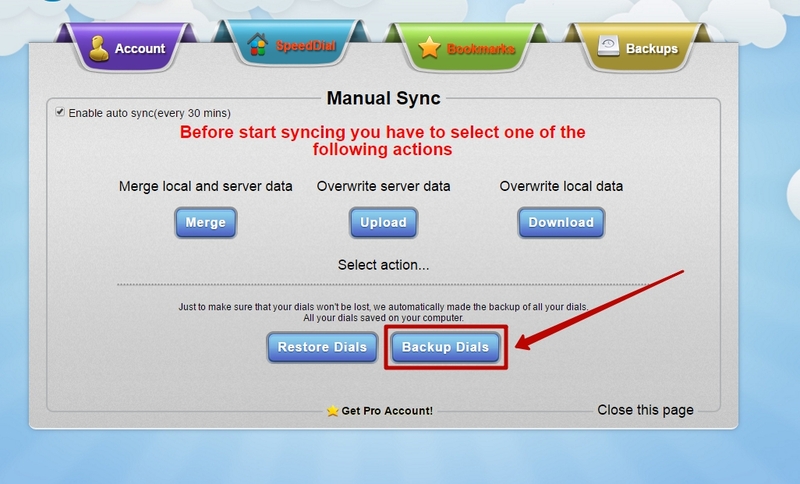 EverSync will help you back up your bookmarks and FVD Speed Dial speed dials. You can create local and server backups. You can use EverSync absolutely free of charge! You can save speed dials to EverHelper and synchronize them between computers without paying anything. We do have a paid plan, but it's only needed if you want additional backup options—for instance, if you want to manually create a server backup through a web client or restore a backup for a specific date. There are other possibilities as well. 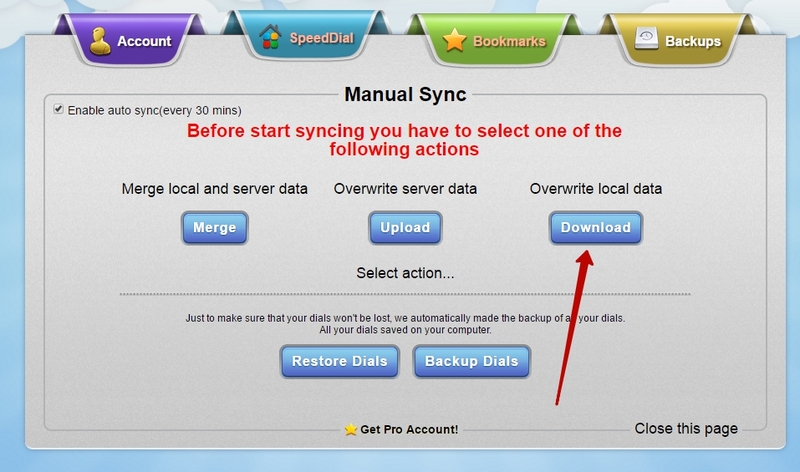 EverSync is a browser extension that allows you to back up and synchronize your bookmarks/speed dials. EverHelper is a cloud storage service for your bookmarks and speed dials that you can access via the web. 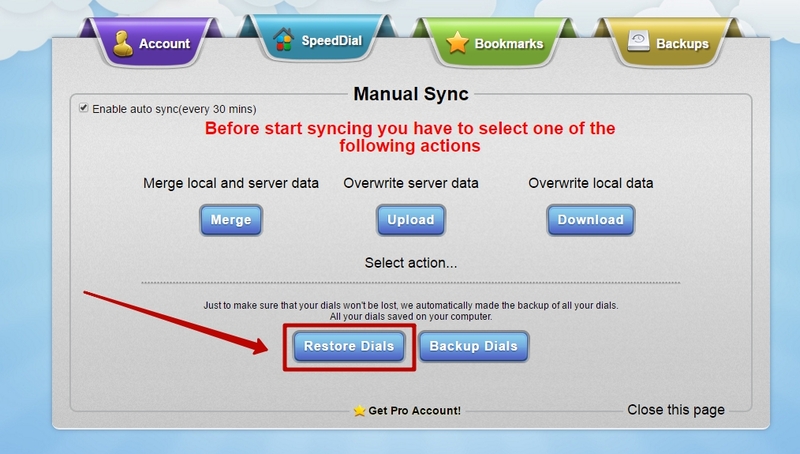 When you back up bookmarks/speed dials using EverSync or FVD Speed Dial, they are saved to your EverHelper account. - Create online backups that are completely independent from your computer. - Synchronize speed dials and bookmarks between various browsers (Chrome, Firefox and Opera) and different computers and mobile devices (Android, iOS and Windows Phone). - Access your speed dials and bookmarks anytime via the web client, even if you do not have a browser extension installed. Open EverSync. If you want to back up FVD Speed Dial, go to the FVD Speed Dial tab and press Backup Dials. If you want to back up your bookmarks, go to the Bookmarks tab and press Backup bookmarks. Open EverSync. 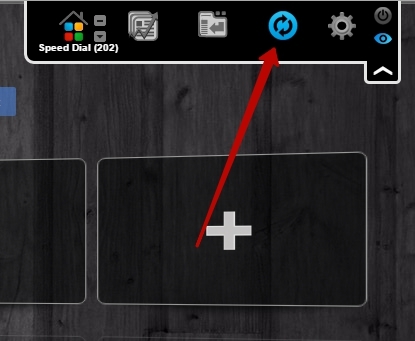 If you want to restore speed dials from an FVD Speed Dial backup, go to the FVD Speed Dial tab and press Restore dials. Then select the required backup and press Restore. If you want to restore bookmarks, go to the Bookmarks tab and press Restore bookmarks. Then select the required backup and press Restore. For starters, you need to upload bookmarks/speed dials to EverHelper. To do this, open EverSync and go to the SpeedDial or Bookmarks tab, depending on what you would like to synchronize. Press the Upload button and wait for the data to upload to the server. Then you can check your data using the web client at https://everhelper.me/client/. Once you've uploaded the data to the server, all you need to do in future when adding new sites is to press the Sync button in FVD Speed Dial or the Merge button in EverSync. EverSync synchronizes automatically every 30 minutes, so you don't actually need to press Sync to synchronize speed dials or bookmarks. 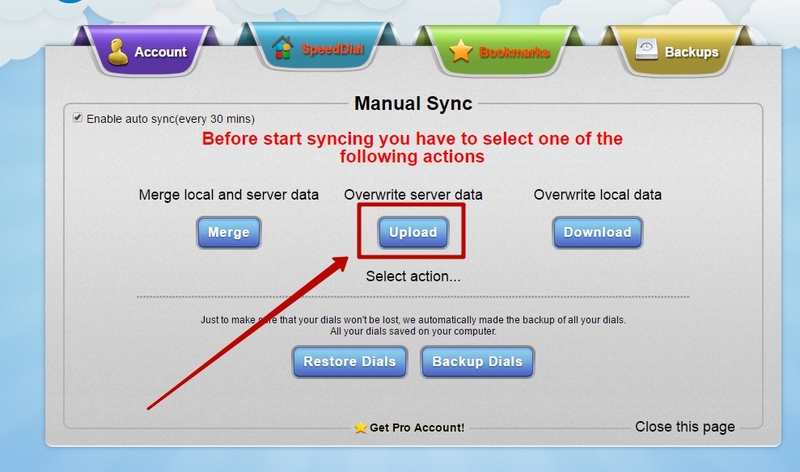 You can disable auto synchronization from the Options panel in EverSync. EverSync makes it easy to keep identical sets of speed dials and bookmarks on different computers or browsers. Once you have installed the EverSync extension on your browser, open EverSync and go the SpeedDial or Bookmarks tab, depending on what you would like to synchronize. Press Download and wait for all your speed dials/bookmarks to download. Once you have downloaded the data from the server, all you need to do in future when adding new sites is to press the Sync button in FVD Speed Dial or the Merge button in EverSync. 1) For starters, try restoring bookmarks/speed dials from local backup. 2) If that does not work, try downloading your speed dials/bookmarks using the Download button in EverSync. In stats, speed dials and groups are added up. For instance, if you have 50 speed dials and 25 groups, the stats will say 75. These are default folders required for correct synchronization with Chrome and Firefox. You can create folders and bookmarks in any of these folders. Because there is no Unsorted folder in Chrome, bookmarks from this folder will not be copied to Chrome when you synchronize. Therefore, try not to use this folder in Firefox. Stick to the Menu and Toolbar folders instead.